Having not been born yet, I can only imagine the trauma that people must have felt at the assassination of John F. Kennedy on November 22, 1963. Yet did you know that on that fateful day, another truly great man died? I refer to my favorite writer, C.S. Lewis. While many are offering fitting tributes to the late President Kennedy on this 50th anniversary date, I wish to write one on Lewis. The atheist-turned-Christian has composed a collection of writings almost unparalleled in modern times. 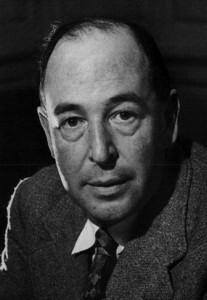 Scholar, Christian apologist, public intellectual and author, Lewis was able to compose meaty works in the following genres: Poetry, children’s fiction, history, theology, science fiction and allegory. He mastered each of these genres and provided a body of works that has changed the lives of millions worldwide. Many honest agnostics have had their hearts softened by God through this Truth, and many, like Lewis, have come to Christ once having honestly come to grips with who He really is. For those wanting to know more about this spiritual giant, who sought to unify Christians on the essentials so we would not depart on secondary matters, I suggest you watch the movie “Shadowlands,” which has Anthony Hopkins playing Lewis. I also recommend this new biography by Alister McGrath. If you truly wish to get to know and enjoy Lewis, however, simply pick up any of his books and begin to read. I assure you, the day you meet up with Lewis through his writings will be a red-letter date in your life.